Is there any paperwork or document for the mechanical systems of 20 Folliot St, Aurora, Ontario? I need more information about the property at 20 Folliot St, Aurora, Ontario. How ist the neighborhood, location and nearby amenities for 20 Folliot St, Aurora, Ontario? I have questions about the roof, foundation, insulations and mechanical issues of 20 Folliot St, Aurora, Ontario? I need more information about property details. What's wrong with this house? Is this a short sale? Is there any maintenance for 20 Folliot St, Aurora, Ontario? What is this property worth in today's market? What are "closing costs", and how much? What steps should I take when looking for a home loan? What price home can I afford? Is my credit good enough to buy this house? What are the best mortgage options for me? How flexible is the seller on the asking price? How low can I consider offering for 20 Folliot St, Aurora, Ontario? 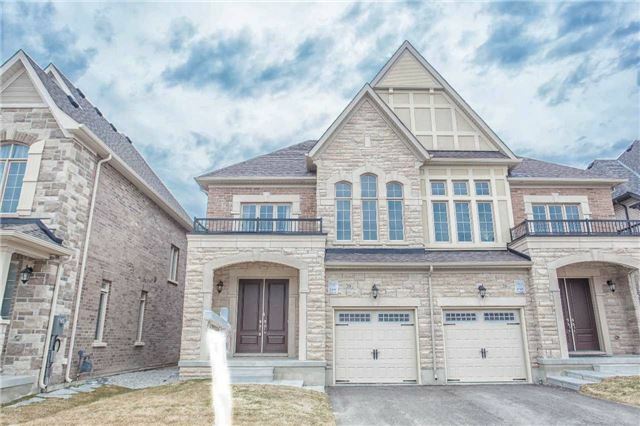 Luxury 4 Br Semi-Detached Home By Oups Developments In Aurora Trails Community. Open Concept, 2114 Sqf Per Builders Plan. Grand Double-Door Entrance .9-Ft Ceiling On Ground & Second Flr. Eat-In Kitchen W Center Island. Coffered Ceiling In Master Br . With Large Walk-In Closet. Large Cold Cellar. Close To Community Centre, Shopping, And Dining Area! Quick Access To 404! Bsmt: 3-Pce Roughin. Stainless Steel Fridge & Stove, Elf, Enlarged Basement Windows. Washer And Drier. Gas Fireplace. Full Tarion Warranty. Rental Hot Water Tank, Main Floor Laundry.